Being able to reliably and efficiently identify entire or subsets of data in large and dynamically growing or changing datasets constitutes a significant challenge for a range of research domains. In order to repeat an earlier study, to apply data from an earlier study to a new model, we need to be able to precisely identify the very subset of data used. While verbal descriptions of how the subset was created (e.g. by providing selected attribute ranges and time intervals) are hardly precise enough and do not support automated handling, keeping redundant copies of the data in question does not scale up to the big data settings encountered in many disciplines today. Furthermore, we need to be able to handle situations where new data gets added or existing data gets corrected or otherwise modified over time. Conventional approaches, such as assigning persistent identifiers to entire data sets or individual subsets or data items, are thus not sufficient. In this webinar, Andreas Rauber will review the challenges identified above and discuss solutions that are currently elaborated within the context of the working group of the Research Data Alliance (RDA) on Data Citation: Making Dynamic Data Citeable. The approach is based on versioned and time-stamped data sources, with persistent identifiers being assigned to the time-stamped queries/expressions that are used for creating the subset of data. We will further review results from the first pilots evaluating the approach. Andreas Rauber is Associate Professor at the Department of Software Technology and Interactive Systems (IFS) at the Vienna University of Technology (TU-Wien). He furthermore is president of AARIT, the Austrian Association for Research in IT and a Key Researcher at Secure Business Austria (SBA-Research). He is co-chairing the RDA Working Group on Data Citation together with Ari Asmi and Dieter van Uytvanck. 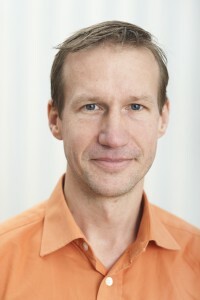 He received his MSc and PhD in Computer Science from the Vienna University of Technology in 1997 and 2000, respectively. In 2001 he joined the National Research Council of Italy (CNR) in Pisa as an ERCIM Research Fellow, followed by an ERCIM Research position at the French National Institute for Research in Computer Science and Control (INRIA), at Rocquencourt, France, in 2002. From 2004-2008 he was also head of the iSpaces] research group at the eCommerce Competence Center (ec3).